While on a trip to visit friends, we took a trip to Toronto to see “Mama Mia”. While we were wandering the streets before the show started, we entered a most beautiful church. 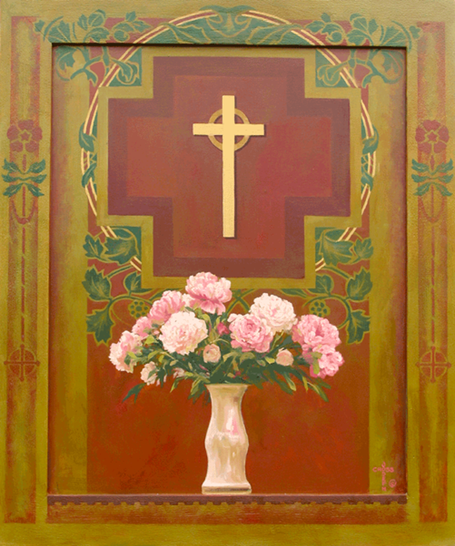 The flowers on the alter against the backdrop on the wall inspired this painting.